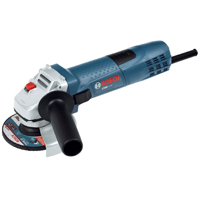 An angle grinder is a handheld power tool which is usually used for cutting, grinding and polishing. Also known as side or disc or angle grinder, it can be powered in three ways- through petrol engine, compressed air or an electric motor. Normal angle grinder components include an abrasive disc, side handle, adjustable guard, and geared head. The geared head which is mounted at a right angle, the geared head holds either a disc or wheel which are responsible for sanding, polishing and grinding different types of materials. 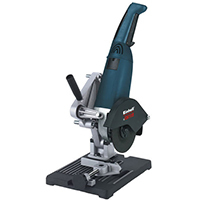 Angle grinders are usually used in construction sites, metalworking shops, and car repairing. They are mainly used for cutting or notches. Angles grinders are also highly efficient for smoothing and removal of unnecessary materials. Angle grinder discs are of different types and are usually in different activities and materials such as polishing pads, sanding discs, wire brush wheels, grinding stones, cut-off discs, and abrasive grinding discs. Know-how of different aspects of angle grinders, including a selection of the right model for a specific project, can help you in taking a wise buying decision. It is most commonly used in grinding or sanding of protruding or excess stone, metal or mortar. 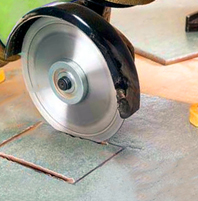 Construction workers often use angle grinders while sharpening stone, metalworking, doing notches and cuts. Apart from these functions, angle grinders can be used in different types of applications such as blade sharpening and removal of mortar in homes and gardens. Home based cutting tools which need to be sharpened on a daily basis include axes, lawn mowers, hatchets, hoes, shovels and ice scrapers. Before starting to sharpen any of these tools, their blades need to clamped tightly to a worktable. Inability to secure these tools can prove to be very risky. Tuck pointing is virtually impossible without using an angle grinder. Using a diamond tuck-pointing wheel, the user can smoothly drill through old as well as loose mortar without causing any damage to the adjacent brick. By doing so, one can avoid the tiring task of using chisels and hammers. The existence of different models of angle grinders makes it a big challenge for an industrial worker, mechanic, blacksmith or home based user to buy a specific one. Though you may feel lured to buy an affordable model, it may prove to be a bad idea unless the grinder is used in small projects on an infrequent basis. So, investing a higher sum on a sturdy model which offers optimum safety is a wise thing to do. The power of the motor grinder usually depends on the size of the disc. The greater the size of the disc, the greater will be the strength of your angle grinder. The size of angle grinder discs varies a lot. The most highly demanded sizes include 4.5 inches and 9 inches. Occasionally, a handyman can opt for a pneumatic grinder which comes with smaller disc sizes. They are more effective for use in minor applications rather than an angle grinder. Handheld grinders have immense power. While being used, the discs of the unit make between 5000-10,000 revolutions per minute. They highly efficient in applications such as sanding, grinding or cutting it can also lead to serious injuries if not used with care. Two things that influence the comfort level of the user are the size and weight. In the case of angle grinder selection, both of these factors should be taken into consideration. 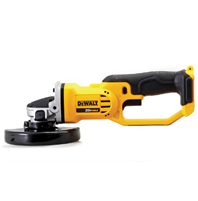 Angle grinder which comes with anti-vibration handles not only have compact units ensure smooth usage for long hours. Voltage, amp rating and wattage of angle grinders may vary. While focusing on current, you opt for a grinder which has a rating between 110 and 230 volts AC and the keep the wattage in a range between 500 to 2,500 watts. Another important factor is the amp rating which should be between 4 to 15. They usually help in correlating the motor’s power. For buyers who are looking for an angle grinder with a lower rating is suitable. However, for daily use in heavy industries such as steel, iron, metallurgy and oil & gas, angle grinders with high amp rating are essential. Silicon Carbide Wheels- These wheels are ideal for sharpening tools, rounding the edges of metal pipes and also for cleaning and sharpening of sheet metal. Tuck-pointing Wheels- Tuck pointing wheels are used for removing mortar. Cutoff Wheels- Cutoff wheels are highly effective in cutting rods, bars, and bolts. Fiber Wheels- These wheels can help in removal of rust and bars from metal. Sanding Wheels- Sanding wheels are meant for sanding, sharpening and assembling surfaces for painting purpose. Flapper Wheels- Flappers are meant for sharpening tools like axes, shovels, and scrapers. Grinding Wheels- Grinding wheels are suitable for restoring edges and make use of a for honing a finer edge after the grinding process is completed. Aluminum Oxide Wheels- This type of wheels is highly suitable for woodworking, resist clogging and help angle grinders to operate to run cooler when used for extended periods. They need to be replaced on a frequent basis. Dry-Cut Diamond Wheels- They are most suitable for use in cutting stones, concrete, and tiles. They are mostly used in the angle grinders which are used in construction projects. Adjustable Guard- The adjustable guard offers optimum protection from sparks and debris. You can move it according to the type of project you are going to handle. Adjustable Side Handle- The presence of the adjustable side handle will make it suitable for you to use with either hand. The greater positions that are available, the greater will be the efficiency of the grinder. Anti -Vibration Handle - This will make your machine efficient for usage over long time periods and help in minimizing fatigue and improve control and flexibility. Though most used by hand, an angel grinder is a power tool. Chances of injury are higher while using angel grinders in comparison to other power tools. Therefore, as a buyer need to be aware of the safety measures which you will need to take while using them. One of the best the safest ways of staying safe from injuries is to unplug the tool while you are changing the wheels. After a new disc is attached, you will need to test it in a protected area. You will get to know about its functionality as a result. 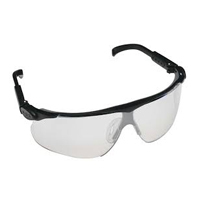 While using a safety guard, you will need to use the safety guard to say safe from risks of cuts. As in the case of other power tools, angle grinder operations need to be done using proper eye protection, thick leather gloves, and a face-mask. A major problem which you may face while using an angle grinder is a kickback. This is biggest risk that an angle grinder can cause as it uses a large amount of power. After completing the task, you will need to unplug and store the angle grinder in a secure place. How to Use Angle Grinders? Cutting Rebars- You will need to mount a metal cutoff in your angle grinder. Pile up the rebar and hold it firmly. Then, throw the cutoff metal wheel through the metal, enabling the tool’s weight to do lion’s share of the work. Let the short end to drop freely. This will ensure that the blade doesn’t bind. Scoring the Face of the Tile- Mark the cut’s outline precisely on the tile’s front and back. Clamp to the workbench and create an outline which is around 1/8-inch-deep on the diamond blade’s front end. Cutting Through Old Mortar- Grinding is effective in beating the chisel and hammer for removing old mortar. If you have to do a lot of tuck pointing, then it would be wise to go for a grinder specifically for mortar removal. Thick diamond tuck-pointing wheels can remove old mortar instantly without causing any type of damage to the bricks. However, since it creates a lot of dust, you should wear a dust mask and shut down your windows. Important Measures to Take While Using Angle Grinders? Use gloves and a face shield. Unplug the grinder while changing the wheels. Attach the handle and maintain a firmer grip using both of your hands. Utilize a guard in case it is possible. Operate the new wheels for a single minute in a protected area before use to be assured that the wheel is flawless. Position the work in order to direct the debris downward. Keep away bystanders. All people standing close need to use safety glasses. Position the wheel in a precise manner to ensure that the wheel spins away from, and not within sharp edges. Wheels, especially wire wheels might catch the edge and throw the workpiece or cause a kickback of the grinder. Maintain a distance of the grinder’s sparks from flammable materials. Clamp the workpiece in a similar manner. Keep the angle grinder away from the reach of your children. While angle grinder models which are suitable for heavy duty, use of safety glasses can keep your eyes safe from the sparks. Angle grinders are one of the most powerful tools. 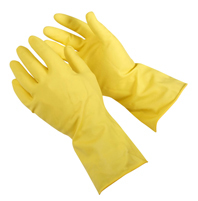 Use of gloves will help you stay safe from deep cuts and abrasions. People who are not acquainted with the use of angle grinders may suffer serious injuries in their feet. 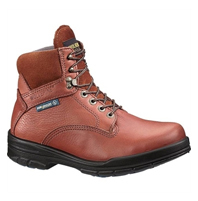 Use of safety shoes can keep you safe from serious feet injuries. What Factors Should You Focus on While Buying Angle Grinders Online? Once you have a clear perception of the different functions that an angle grinder performs, you will need to focus on the specifications of each model. Comparing each angle grinder on the basis of rpm, wattage and amp ratings. If you require an angle grinder specifically for domestic use, access the construction or renovation needs of your home well before selecting a grinder of the specific brand. At Moglix, you will have a myriad of options to select from. We have a wide array of power tools to satisfy your day to day needs. Apart from angle grinders, we also deal in sander, grinders, drilling machines, electric hammers, cordless power tools etc. To make product search an easier affair, you can search products on the basis of keywords, such as ‘’Bosch angle grinder’’ within the search bar. All relevant items will be displayed in the search results. By clicking on the individual listings, you can acquire additional information, including terms of shipping and returns and the quality rating of the e-retailer. Using this information, you will be able to select an angle grinder which offers a satisfactory quality of service in the long run.